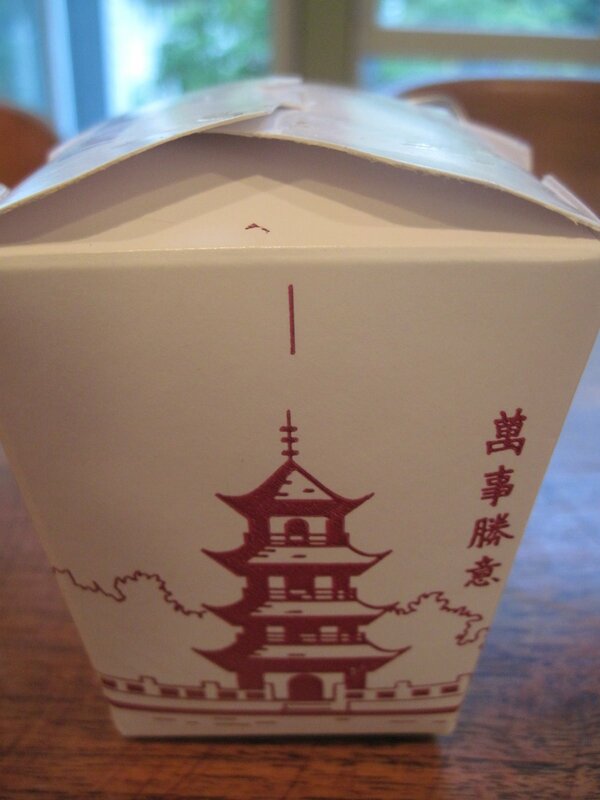 Ever wonder what to do with that extra box of rice that you get with Chinese Take – Out? Well, I’ve got the solution for you! 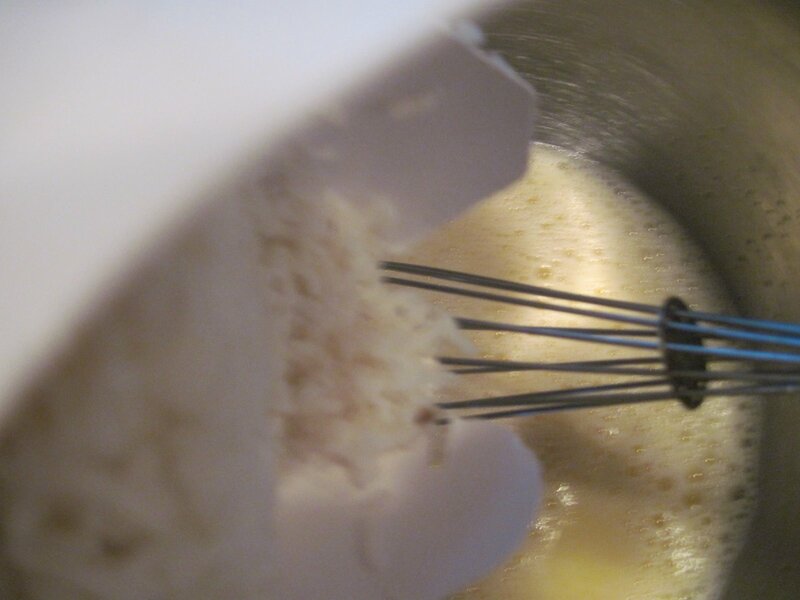 Make Grandma’s Rice Pudding! 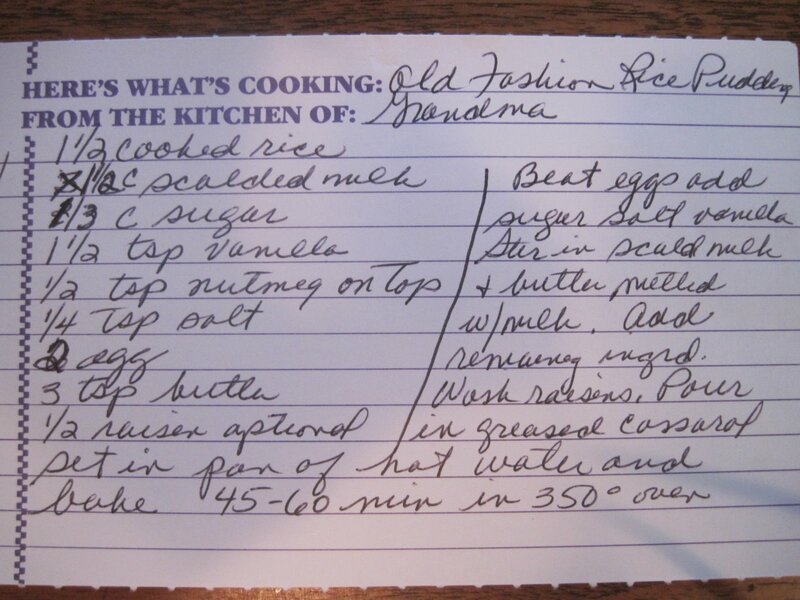 When I first got married, my Mother made a wonderful recipe book for me with all of my favorite family recipes and more. Lots that she hand wrote- like this one, that is love. I have Mom’s recipes, Grandma’s recipes, and my Great Grandma’s recipes. I do cherish them. 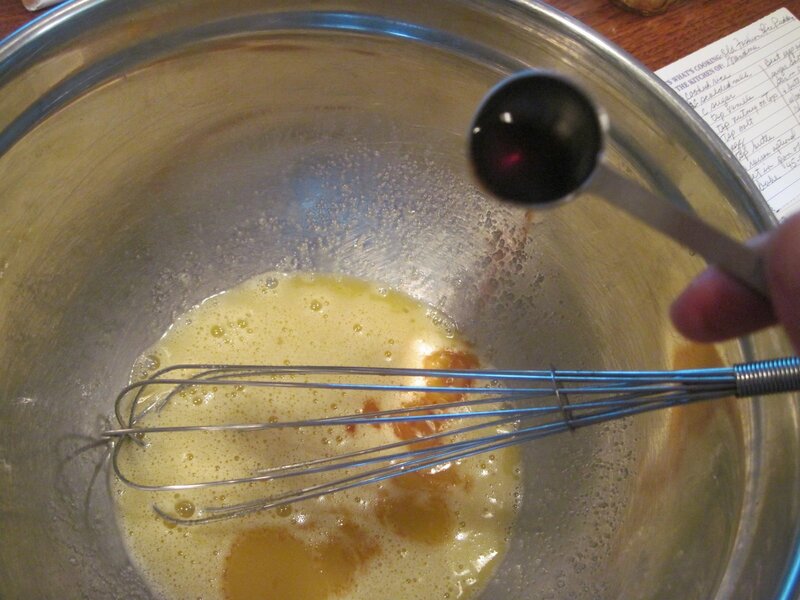 A good cook always puts all of the ingredients out- that way you are less likely to forget to add something. A French chef will say, ” Mise en place”. 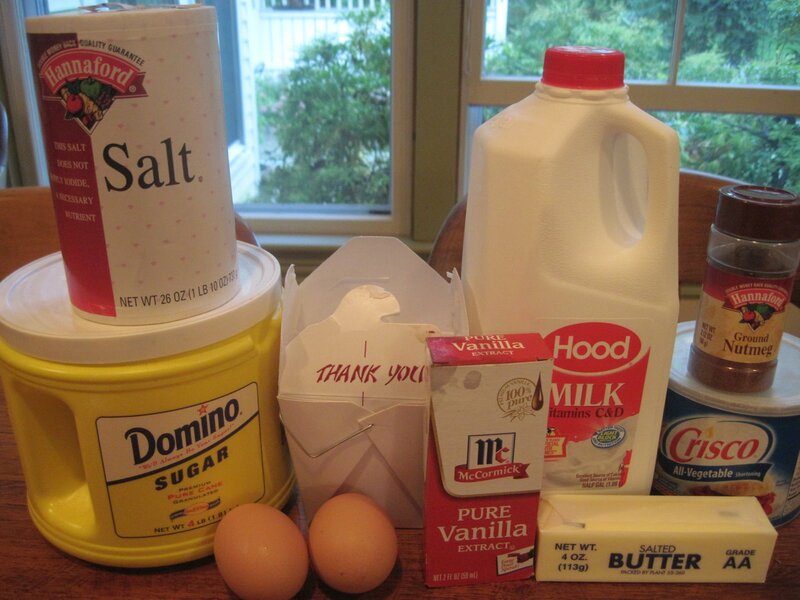 All the ingredients are ready. Also get your bowls and pots and casserole dishes out too! 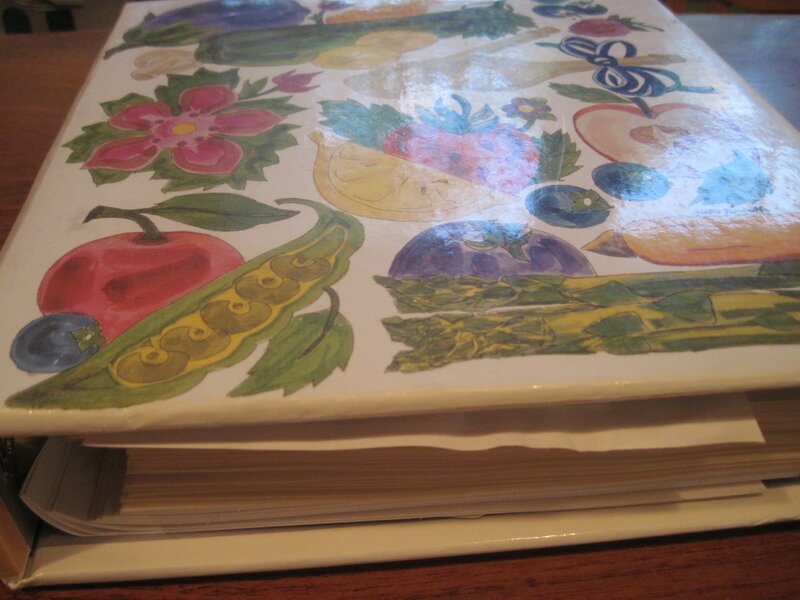 This is one of my wonderful recipe books that my Mom has made for me. Whip it good. 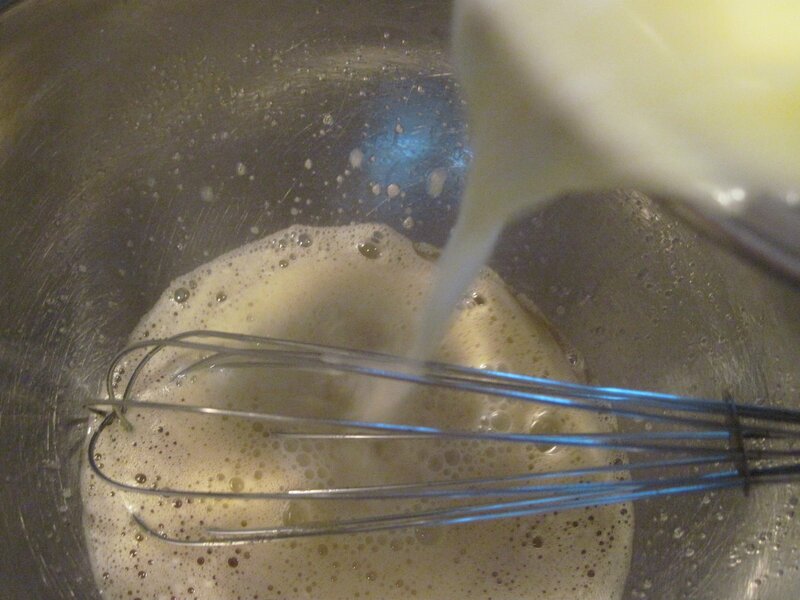 Crack that whip—okay I can’t help it, It just comes after, “Whip it good”! Scald, scald, scald, believe me you will be happy when you scald. 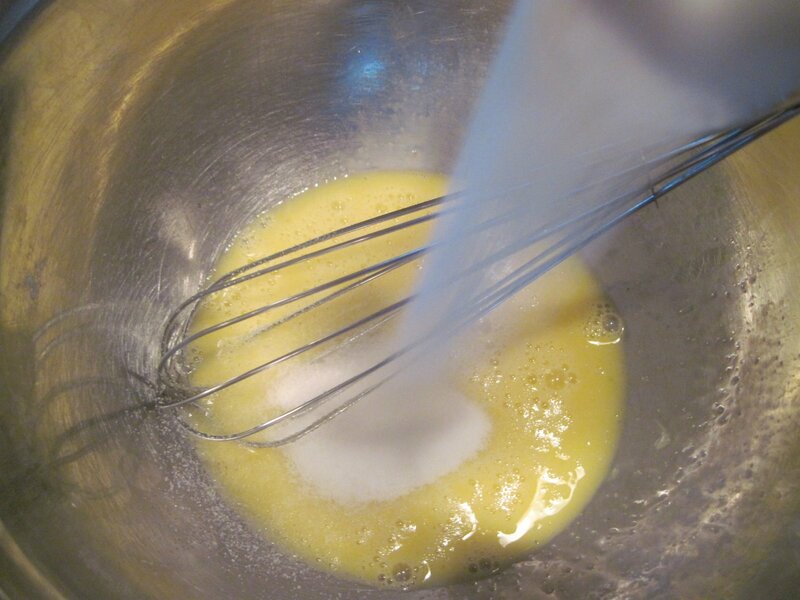 Add milk and butter to egg mixture. Add that container of rice. Mush it around until all the rice is coated and covered with egg mixture. 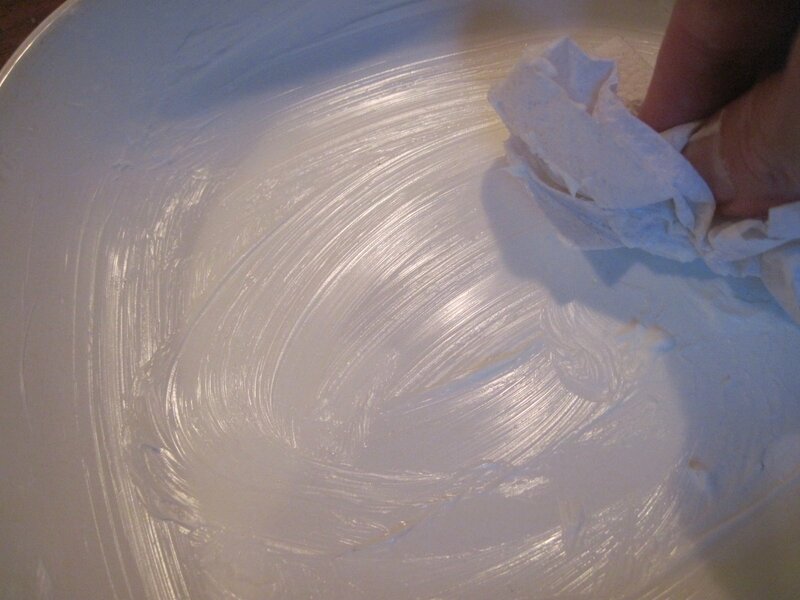 Grease your casserole dish, I use a small dish. Note to self- get a manicure. 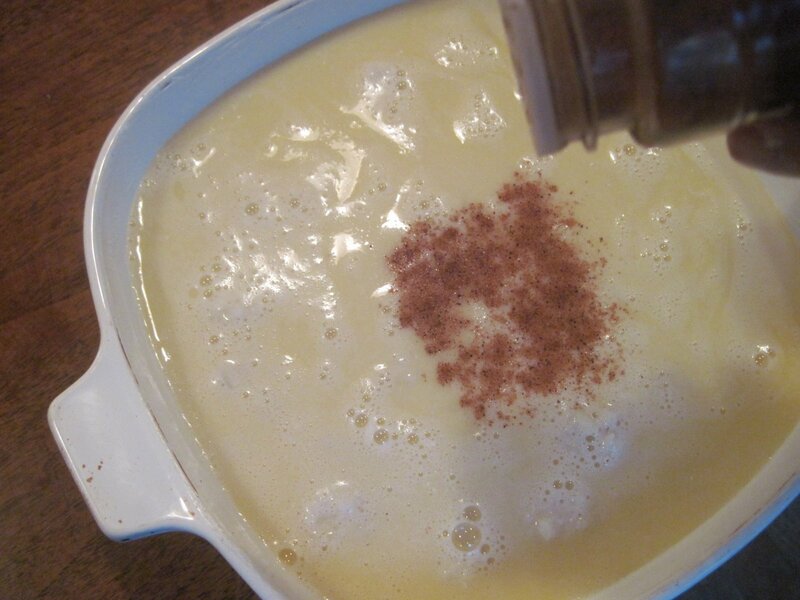 Pour in the pudding, sprinkle nutmeg. Place casserole dish in a larger casserole dish, filled with hot water, 1/2 full. Pull your oven rack out halfway before you place this heavy double dish in the oven. 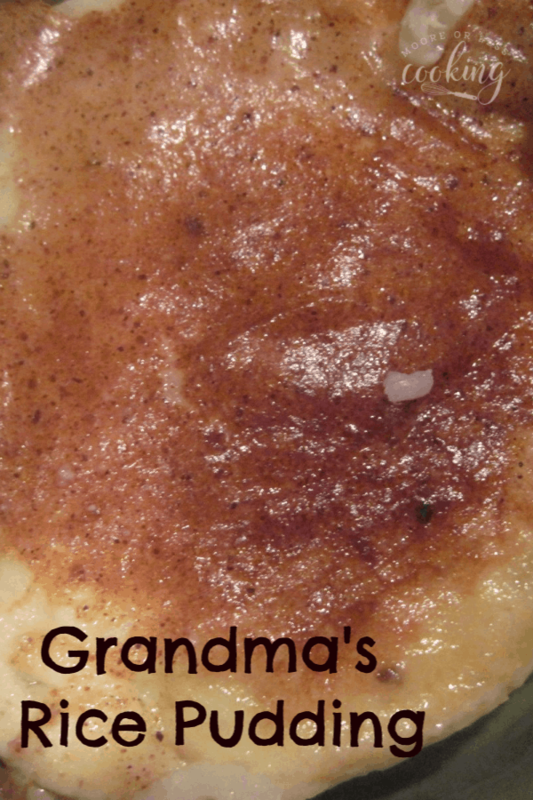 Watch my VIDEO to see how easy it is to make my Grandma’s Rice Pudding! 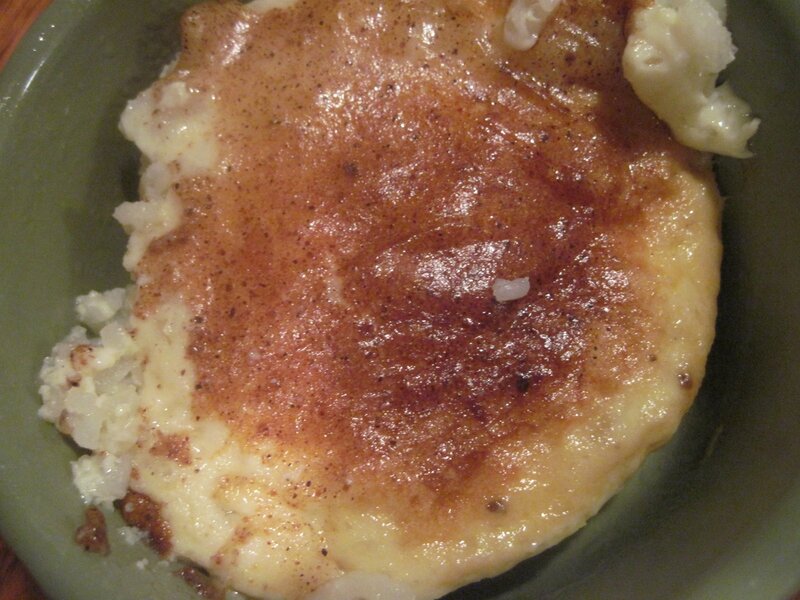 Easy and delicious comforting rice pudding the way my Grandma made it! Great use of that leftover rice! 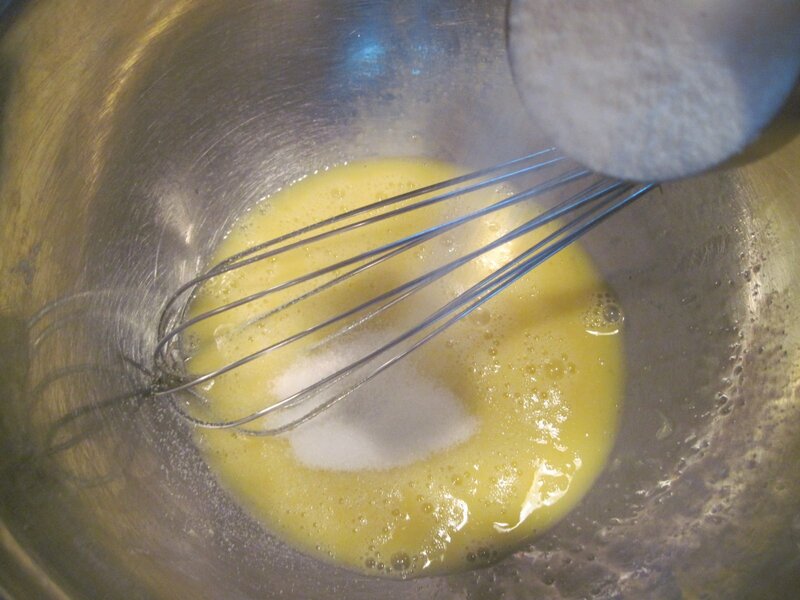 Add sugar, salt, and vanilla to the eggs, and beat. 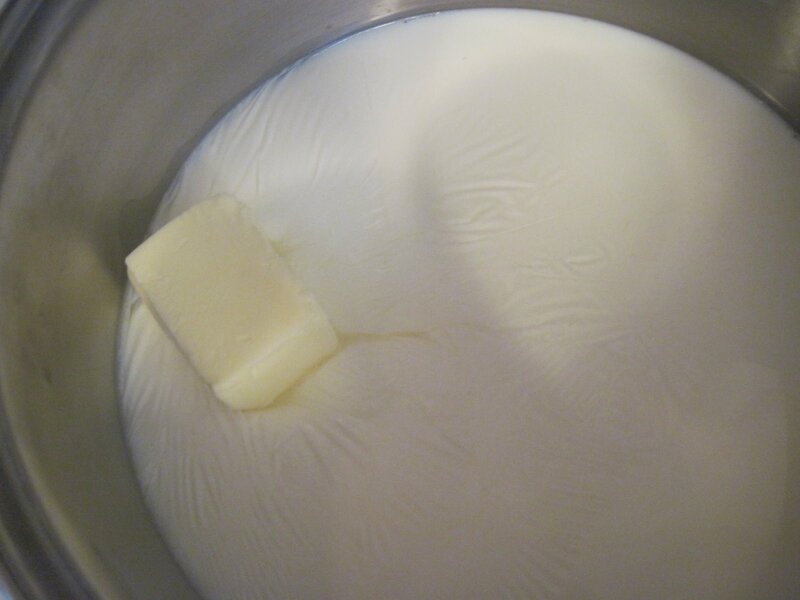 Scald milk on medium heat for about 4-5 minutes until you can see heat rising. 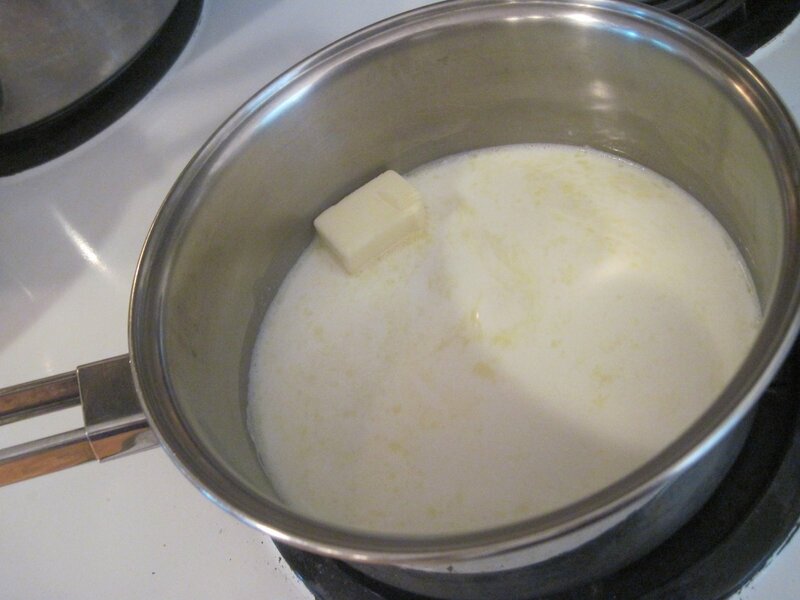 Add butter to milk and melt. 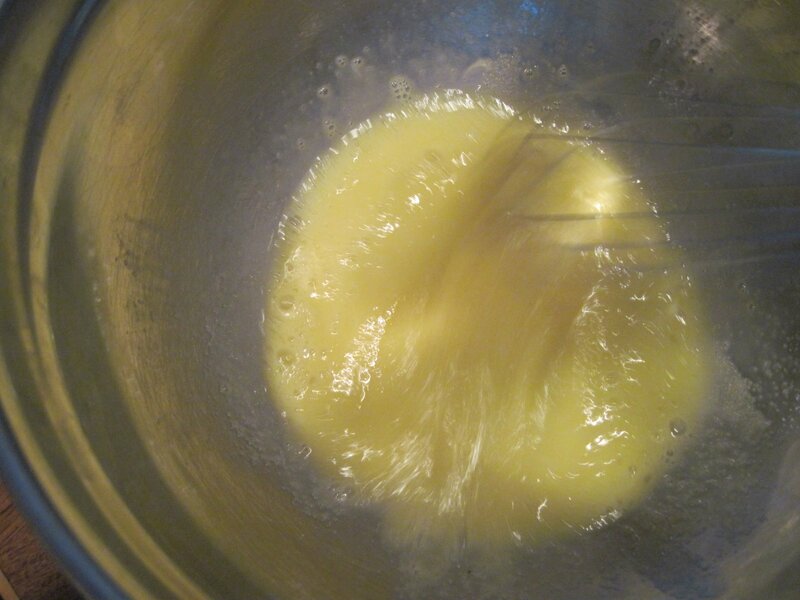 Add scalded milk and butter to beaten egg mixture. Set casserole in a pan of hot water. Bake for 45- 60 minutes or until pudding has set. It is a secret delight but how do you stop eating this pudding? It is too good. Why do you have to "scald" the milk, and how do you scald milk? Boil it? Why does the milk need to be scalded and what is scalded milk? Boiled? Thanks… it looks delicious! Why do you have to wash the rasins? Good question Susan! I wish my Grandma were still alive and I would ask her. She always washed raisins before adding them to the rice mixture. Probably something her Mother showed her. I prefer rice pudding without raisins so I omit them. Wish I could answer your question. I think when you wash the raisins it softens them, probably why……..
My readers have answered saying they do it with every recipe that calls for raisins, you get a plumper raisin. 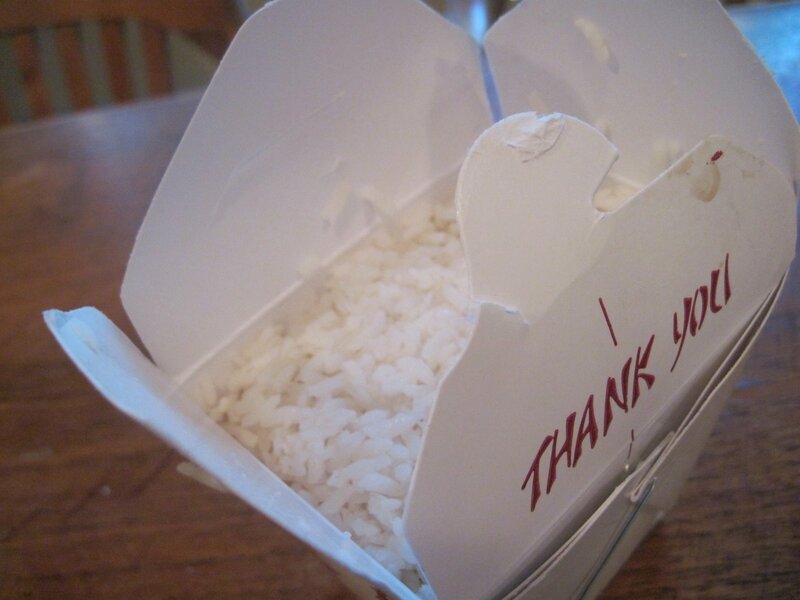 What a great use for leftover Chinese takeout rice! 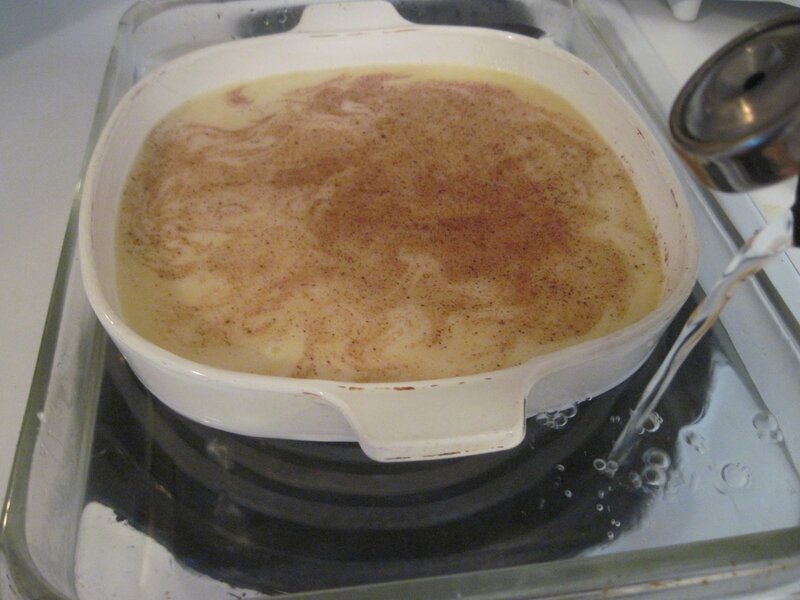 I love finding treasured family recipes and your Grandma’s Rice Pudding looks wonderful! 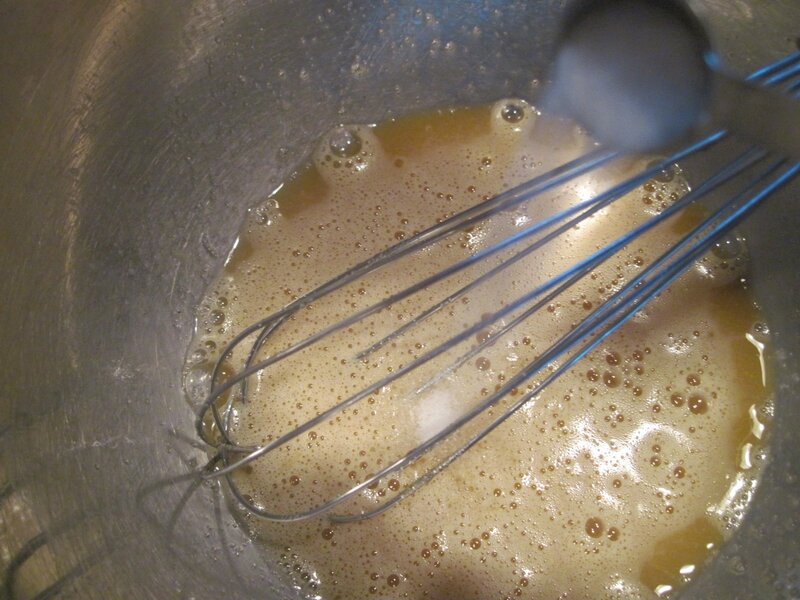 It is a creamy custard consistency, maybe you might have left in too long? It shouldn’t be dry or firm. I love rice dishes and this looks great.. thank you.. I am curious… what is the reason for washing the raisins? I’ve never heard of washing raisins for a cake, or a bread or cookie recipe. Is there something different here? This rice pudding looks delicious! Thanks so much for sharing with us at Full Plate Thursday and sure hope you have a great week! I used leftover rice from dinner, it turned out delicious. Rinsing raisins is a good tip, took 45 mins to bake. I’ll definitely make it for Thanksgiving OR whenever we have leftover rice . Nettie, it looks perfect and tasty! Can’t wait to have this anytime of the day, love it!